Premium is synonymous with the Golden Penny brand and as a food brand, our major goal is to provide our consumers with premium consistent quality foods under hygienic conditions and at an affordable price. That has inspired our need to introduce into the Nigerian food market – Golden Penny Garri! Over the years, Garri has been a favourite staple among Nigerians. Whether we are drinking/soaking it or eating as swallow with our favourite Nigerian soups, or even as a base for pastries. 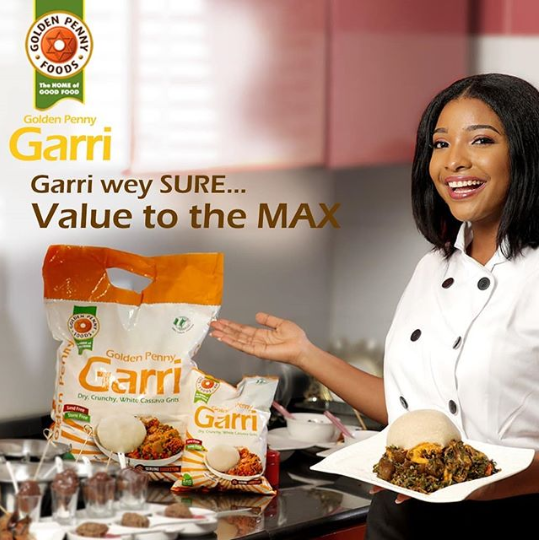 The knowledge of this inspired us at Golden Penny Foods to make available a safer, more consistent, hygienically packed garri thereby promoting our local foods as well. 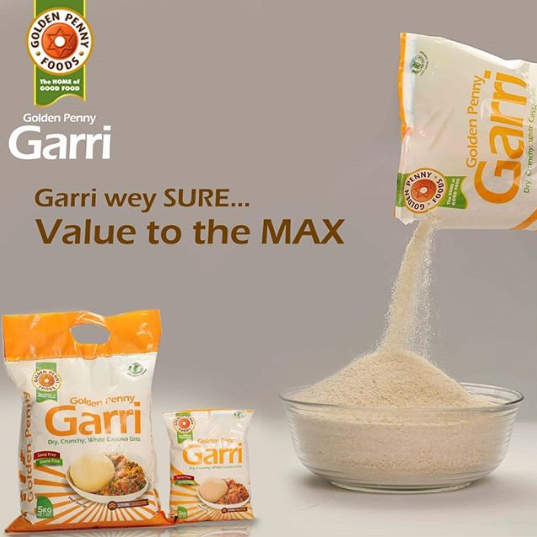 Unlike the regular garri that is available in the open market, Golden Penny Garri is sand and stone free, dry, crunchy and swells more than any other garri thereby giving you maximum value for your money. 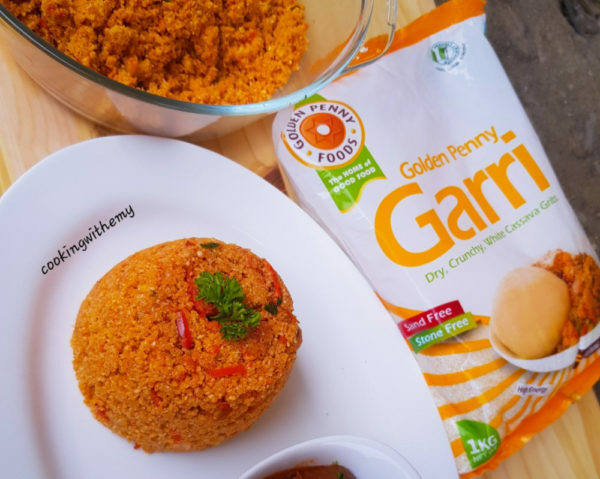 Golden Penny Garri is processed from the finest locally grown and sourced cassava with a careful selection of the finest stems and the meticulous production process results in the pleasant yet sharp, sour, and tingly taste. Since our debut into the Nigerian market, Golden Penny Garri has been widely accepted by so many Garri lovers across Nigeria and even the international markets. Golden Penny Garri comes in 2 sizes, 1kg pack and 5kg family size. It’s available in neighbourhood stores, retail outlets, supermarkets, all game and Shoprite stores nationwide. Follow us across our social platforms for updates: YouTube Channel, Facebook, Instagram, and Twitter.